New York City has ordered yeshivas in a heavily Orthodox Jewish section of Brooklyn to exclude from classes all students who aren’t vaccinated against measles or face violations and possible closure. 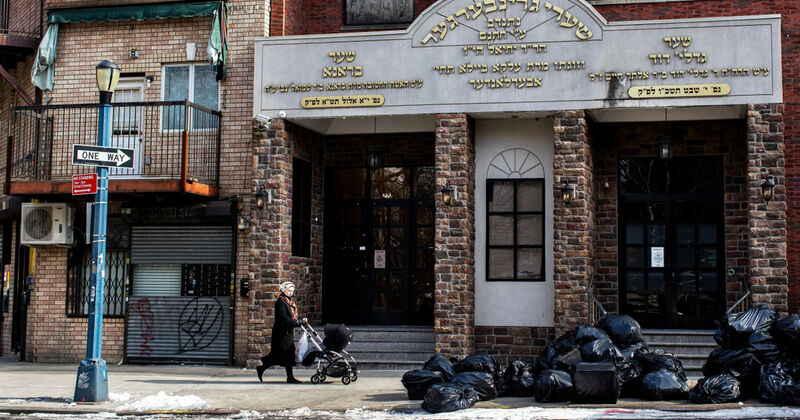 The city health department’s order to all yeshivas in Williamburg comes amid a measles outbreak, with 285 cases of the disease in Brooklyn and Queens since October, most of them involving members of the Orthodox Jewish community. “Any school out of compliance will immediately be issued a violation,” the health department said in a release Monday. The vast majority of measles cases in Brooklyn and Queens are of children younger than 18 years, the release on Monday said. Measles causes fever, cough, runny nose, red eyes and rashes and with complications, can cause swelling of the brain and death. In December, the health department issued a mandatory directive that yeshivas and child care centers in parts of the Borough Park and Williamsburg sections of Brooklyn exclude students who had not received the measles, mumps and rubella (MMR) vaccine, the release said. A month later, a yeshiva in Williamsburg fell out of compliance and allowed unvaccinated children back into school or child care. This single yeshiva is connected to more than 40 cases, the release on Monday said. Debates in the Orthodox Jewish community over vaccinations stem from Torah teachings that followers should not cause the body any damage since it is a gift from God. Some see the small risks associated with vaccines and the risk of contracting diseases that have “been largely eliminated” as equal, and so subscribe to the Talmudic dictum that translates to “in some cases of doubt, better to sit and do nothing,” according to Rabbi Yehuda Shurpin, content editor for Chabad.org. But some New York rabbis have called parents to act and get their children vaccinated. “It says in the Torah ‘V’nishmartem Meod L’nafshoseichem,’ that a person must guard their health,” Rabbi David Niederman of north Brooklyn said, according to a previous health department statement. “It is abundantly clear on the necessity for parents to ensure that their children are vaccinated, especially from measles,” he said. Fleabag: What did people make of the series two finale?